The Best of Teacher Entrepreneurs III: Your Backstage Pass To a ROCKIN' Year! As the end of the year approaches teachers are looking for ways to keep students entertained, engaged, and focused until those last days of the year. This year I have chosen to do a rock-n-roll theme to end the year. It's a fun theme and I use the phrase, "You are all rockstars now!" One thing that I have noticed is that the month of May can be the most exhausting month for teachers. With to-do lists that are miles long, students with a ton of energy, and teachers who are just plain worn out! I have created a fun behavior management activity that will help with the behavior so that you can focus on getting things done faster so you can get rest easier! 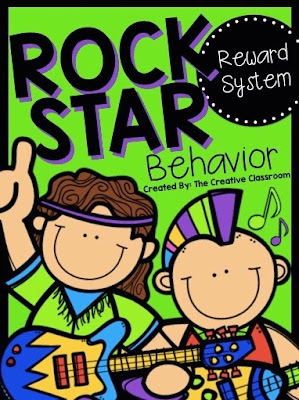 Rockin' Behavior is a classroom management activity where you first print and prepare all parts of the Rockin’ Behavior Memory Game provided as a freebie in my TPT Store. Think of 8 different classroom prizes that the class would love to earn. Write each prize on the back of two different numbers. Now the class works on earning the letters R-O-C-K for making great choices, helping their classmates and following he classroom rules. Once they earn the 4 letters then randomly choose a student to pick two numbers and see if they are matching prizes. If they match I reward the class the following day and if not they start over spelling ROCK again. After beginning this last Monday, we have already earned the prize, PEN DAY. My 2nd graders were in heaven on Thursday when they each got a color pen and got to use it all day instead of pencil. Isn't it the little things that make them happy? 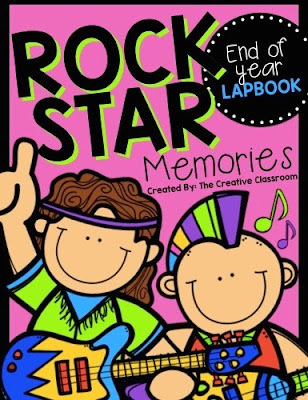 In addition, later this month I will be having my kids make the Rockstar Memory Lapbook. 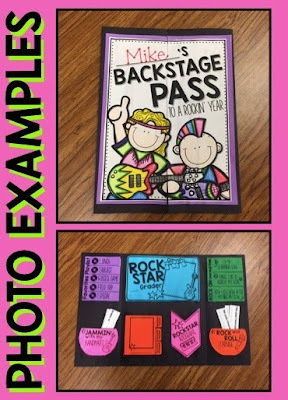 These lap books will be wonderful ways to keep those memories of 2nd grade and reflect on the past. 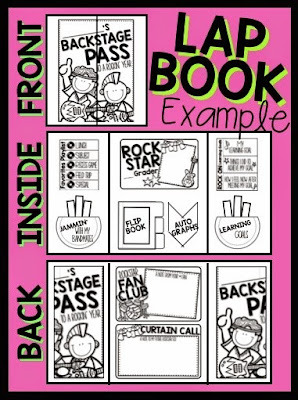 Please watch the short video to watch how the lapbook is assembled and visit my TPT store to pick up the lapbook for your end of the year memory making! grade memories. I can't wait!!! This looks awesome! Good luck with your sales.